Deep thoughts going around here in the holy land. Divrei Moshe weighs in on emotional pain among bloggers, his personal value to the world, Jewish outreach, and Michael Jackson. I happen to know Divrei Moshe personally. As indicated in his sidebar, his grammar and editing skills are not nearly as strong as his excellent character. He is a great guy. Do not judge a book by its cover, nor a man by his spelling.
. . . can be found in the comments section of this post by Allison. The upshot: I agree with her (Shalit's) overall point, but think that the examples she gives undermine her argument. This is a tough post to write, because as I just noted in the previous post below, I don't have a lot of time. I also should warn you that I don't really have a "point" here; I'm just letting you know what's going on in the Chayyei of Sarah. In response to many of the discussions going on lately in the blogosphere and the "real" world, I've been doing a lot of thinking lately about what do I really believe, religiously. Thinking, and writing on my computer. And more thinking, and more writing. A writing instructor once told me that "writing is a process through which you discover what you believe," and it's really true. Maybe some of the writing will eventually appear on this blog. The thinking part I've done all the time. One of the reasons I'm as religiously "strong" as I am (to the extent that I am, which is sometimes stronger and sometimes less) is that I'm constantly "checking in" with myself, and often go through "re-evaluation" stages. Only once, when I was 20, did a "re-evaluation" lead to a major crisis and what was, to me, a big change in outlook. Usually it's little microscopic steps, in different directions. Who were the major influences, throughout my life, on my religious thought? Besides my school, youth movements, parents, etc, what other forces have informed my world outlook? How much of the way I perceive Judaism is more about my character, my personality, the extent to which I see the world as a glass half full or half empty? How did I come to believe what I now believe? How much, or how often, do I really believe it? And do I believe it because I really do, or because believing it makes me happy? Does it matter to me? How did I come to not believe the things I don't believe? Why is it that there seems to be an ever-decreasing circle of people who believe roughly as I do, who see Judaism the way I do? Deep and troubling question because of the nature of its practical implications: All other things being attractive and wonderful, how similar to me, in religious thought and deed, does a man have to be in order for me to be willing to raise children with him? Or, put another way, how much of what I believe do I believe so strongly that I'd rather not date someone - and, not being 21 any more, risk not having children at all - than raise them in the absence of that belief? How much of what I do not believe do I not believe so strongly that I couldn't be happy raising children with someone who does believe it? Who are my religious role models right now, and who do I consider to be "my" rabbis, and why did I choose them? What would happen to my beliefs if one of those role models turned out to be engaging in behavior that is morally repugnant or grossly hypocritical or just not nice? Back to the first question then: Judaism on its own merits? Or based on the Jews? It's a lot. Very intense, to be thinking so much about these things, while the blogs I read, meanwhile, are roiling with Modern Orthodox, Ultra-Orthodox, previously-Orthodox-and-now-not-so-sure, and never-were-Orthodox-and-never-want-to-be-and-here's-why Jews are hashing it out with each other over book bannings, materialism, the Silence of the Lamms, the halachic process, close-mindedness, vacuousness, "authenticity," women in Orthodoxy, the Taliban, mixed swimming, gedolim, the Israeli Rabbinate . . . I need some quiet, so I can think. I want to thank everyone who voted for me in the preliminary round of the Jewish-Israelly Blogger Awards. Thanks to all of you, Chayyei Sarah had a great showing, and I'm really grateful to everyone who made the time to vote every day. I hope soon to write a whole post listing (and linking to) some of my "competitors," many of whom do great work. I think before the final rounds it's worthwhile to check out all the other blogs, if you haven't already. I'm in really great company, up here at the TOP! So, my sleep cycle is totally messed up. On Thursday night, I was up until 3 or 4 am, exchanging emails and phone calls with a copy editor in America. Then, Friday night I fell asleep at like 1 am, and then woke up at 5:15. It was dark outside and for a few minutes I didn't know whether it was 5:15 in the morning on Saturday before dawn, or 5:15 in the evening, and I'd slept through the entire Shabbat. Finally I got up and looked at the 24-hour timer on my water boiler, which said it was "5" and not "17," so I knew I hadn't kept my lunch hosts waiting. I went back to bed, woke up again at 11:45, and got to my noon lunch (a 20-minute walk from me) only half an hour late. Yeah, I'm doin' real well, here. Anyhow, I had lunch at the home of Rachel and Esti (and Gila, who unfortunately was not there for Shabbat). I like these gals a whole lot. They are fun, frum, smart, and very "real." Good peoples! When I left my apartment, I turned around to go back in and leave my jacket behind. It was HOT outside. I was wearing a suit and stockings and it was HOT outside. I got to Rachel and Esti's -- they live in a beautiful apartment from which one enjoys a gorgeous expansive view-- and the first thing Rachel said was "Good news! We are eating outside!" So, while my friends in the USA were buried in snow, the three of us sat on the canopied porch, the sun shining warmly on us, and enjoyed cold soup, kabobs, chocolate-covered shortbread and other fine delicacies. They gave me a short-sleeved shirt to change into, and we all went barefoot because it was too hot to wear any clothes that weren't absolutely necessary. We just sat around talking and enjoying the sun and fresh, warm air. Gorgeous view, good friends, and kabobs. Lunch outside in January, barefoot. Today was a good day to live here in PARADISE! A new week. A new chance (the last one!) to vote (for me) at the Jewish-Israeli Blog Awards. "A Vote for Chayyei Sarah is a Vote for World Peace"
It's 3:40 in the morning, and I've got this song running through my head. I remember learning that a principal difference between Judaism and Christianity is that while Christians believe that humans are born sinful and must be redeemed, Jews believe that humans are born with a pure soul, and it is only as we go through life sometimes making bad choices that we cover up (not ruin, just cover up) our goodness with other junk. But fundamentally, everyone has a good neshama (soul), if we could just get past the layers of whatever unhealthy baggage we've each picked up over the years (some more than others). Wouldn't it be nice if everyone saw the good in each other? Not just "some good," but the good. In their crazy family members, their bosses, their students, their roommates, their children whom they don't understand . . . . If we'd look at each other -- really look into each other's eyes-- until we could honestly say "You are beautiful. You are whole. You are perfect." I know a lot of people who think they are less than beautiful. They think they are less than whole. The world told them so and they believed it. Some became sad, and some became angry (anger is my personal favorite). It's hard not to believe it when people tell you, sometimes without words, that you are not enough. I wish they could see what I see. That they are perfect, just the way they are. And maybe I should learn to see that in myself, too. And maybe I should go to sleep now. In the "Best New Blog (Group B)" contest, I'm running neck-and-neck with (worthy opponent) Friends of Micronesia, who could certainly win an award for clever name/concept for a blog. For those not in the loop, the Federated States of Micronesia is the only country, other than the US, that has consistently supported Israel in the United Nations. This is because of a favor that Israel did for Micronesia many moons ago - I do not remember the details - for which the Micronesians have been grateful ever since. If you follow the links on the Micronesia blog, I'm sure you can learn more about that. Anyway, just this past Saturday, I was telling Daphna, one of my loyal readers and hostess for lunch, that I think we Israelis should make a concerted effort to spend our vacation dollars, uh, shekels not on places like India and Costa Rica, but on Micronesia. You know, return the favor. So in the last couple of days I've done some poking around on the internet, to learn more about tourism to Micronesia and how much money I should save up for the trip. You know, the trip I'll take someday. When I have money for such a luxury. Some . . . day . . . Turns out that Micronesia is gorgeous, and the people speak English, and if I learn to scuba dive in Eilat before going, it could be the most amazing adventure trip of all time. I'd even be willing to survive on canned tuna, crackers, and peanut butter for a week or two. Micronesia has plenty of bananas. I'd be fine. Especially if, by the time I had saved up all the money for this wonderful dream trip, I had, uh, a certain other person, preferably male, who would want to come with me. In my life. Some . . . day . . . But there are a couple of snags, here. One is that the only way to fly to the Federated States of Micronesia is via Guam or Hawaii on Continental Airlines, and according to the Continental site, the round-trip fare from Tel Aviv to the FSM is over $4300. And involves flying not as the birds do to Micronesia -- which would take me over Asia and into the Pacific Islands-- but rather over America. That is, it involves flying two-thirds of the way around the world. According to the internet search I did, if you leave Tel Aviv on a Sunday you arrive on the islands of Micronesia on Wednesday. Interestingly, when I went back to the Continental site just half an hour later to poke around some more, it was telling me that I couldn't search for those destinations and would have to create an itinerary by calling them on the phone. OK. When I have several thousand dollars to spend on a gratitude-motivated scuba-diving trip to tropical islands, I'll get back to them. The other snag is that I don't know anyone else (yet) who would want to spend over 4 thousand dollars to go to Micronesia with me, even if I knew anyone in Israel who has 4 thousand dollars, rather than a 4 thousand dollar overdraft. And in the time it would take me to save that money, anything could happen. Of course, the good news is, in the time it would take me to save that money, anything could happen, if you catch my drift. So, we all have to pray for Chayyei Sarah that she gets lots of lucrative freelancing deals and finds a (preferably male) travel partner who also happens to have a few thousand dollars burning a hole in his pocket, so that someday she can fly . . . and fly . . . and fly . . . and say "thank you" to the Micronesians in person. "A Vote for Chayyei Sarah is a Vote for World Peace." You may recall that, inspired by Sarah Smile, I was searching for something "different and special" to do on Shabbat. I loved everyone's suggestions. In the end -- this was so bashert -- I was talking to someone on Thursday and he mentioned that he and his wife live right outside the Old City, and anytime I want to come for a Shabbat meal to just call . . . so I told him about the "different and special" challenge, and got a Shabbat meal invitation literally across the street from the Old City! Bishvili nivra ha-olam, indeed. 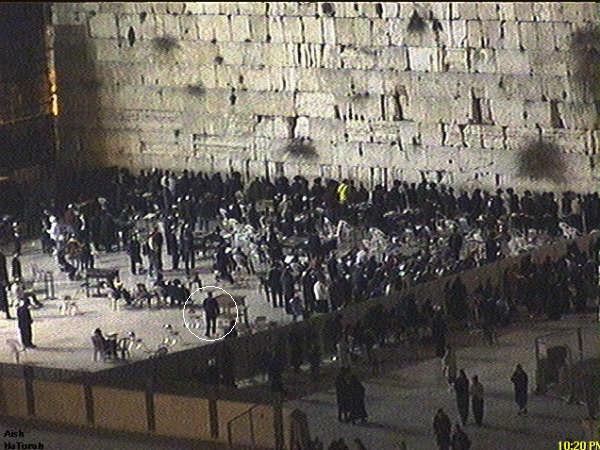 Friday night, just as Shabbat was starting, I headed out for my personal "Aliyah La'Regel" to the Western Wall. I took Emek Refaim Street all the way up, and then walked under the footbridge that goes over Hevron Street . . . and there it was, the Old City, rising up like a Phoenix from the ashes, on a hill over yonder. Between me and the ancient wall of the Old City of Jerusalem, Hevron Street wound around, with parks on my left and a yawning valley on my right. The street was busy with cars going very fast. I got a weird feeling, almost like vertigo, being the only pedestrian in this panorama-- it was like a picture postcard of "Jerusalem at night"-- the cars and the electric lights and the City of David ahead of me. Somewhat surreal, except that it is real. I was practically dizzy from the juxtaposition of the Old and the New, and from my proximity to this, the holiest place on the planet. The epicenter. Biblical and spiritual Ground Zero. I walked up Hevron Street and then to Chativat Yerushalayim Street, taking some comfort from the presence of a few yeshiva students walking in the same direction - at least I wasn't alone on this uphill climb, this street that hugs the millenia-old center of the center of the center on the right, but has speeding cars missing me by just a few feet on the left. Through the Jaffa Gate, and from there I found my way easily to the Kotel, despite my usual disorientation in the Old City; I just followed the foot traffic of all the religious Jews who were going the same place I was. They took me through the Arab marketplace for the first time in my life (note for my parents: The Arab marketplace runs between the Christian and Armenian Quarters, not through the Muslim Quarter, and it was full of Jews going to and from the Western Wall). I noted the stores that were still open selling beautiful scarves and dishware, making a mental note to return some time to go shopping. The Kotel on Friday night is just as spectacular as readers had told me. I missed a lot of the "action," I think, because I wasn't there when Shabbat started. But it was just incredible, being there, and realizing that for my hosts and so many others, the Western Wall is their synagogue. Even for me, it's only a 45-50 minute walk. Why don't I go more often? The prayer experience wasn't as moving for me as it usually is, because I was late (of course) and didn't want to keep my hosts waiting. But I said a prayer for my friend who recently had a mastectomy, and for a lot of other people and things, too. I kept thinking when you live in Jerusalem, the Kotel can be your shule. Incredible. Dinner was very nice and, for me, entertaining. A real "kiruv" experience, with 4 boys who had been at Aish Hatorah for 4 months trying to convince 2 young tourists from Australia to come to Israel and learn in yeshiva. They spoke with so much passion that I practically wanted to enroll myself. But whenever I thought they were going a little overboard, I served as the voice of "spiritualism and idealism tempered by reason." The two children were adorable. I got to hold the baby and he was awesome. My new little friend. It took me 45 minutes to walk home. It was downhill all the way, literally, which is appropriate since I was also coming down from the holiness and the vertigo. I took a different route that I knew would have more pedestrians: King Solomon Street to King David Street, and then I said goodbye to the Biblical sites and Biblical street names, and walked through the German Colony on to home. My home. In Jerusalem. Have you voted (for me) at the Jewish-Israeli Blogger Awards? You can vote again, every 24 hours! Recently, an editor at a news publication based in the US – we’ll call it the Big City Jewish Chronicle (I have relationships with several such publications, so don’t bother trying to guess which one I’m posting about here) – offered me a writing assignment about a certain group –let’s call it Charitable Organization. Sure, I said, but what is the occasion? The news hook? Why do you want this story now? Oddly, the editor – I’ll call him/her Phil (hat tip to RenReb) – said “I don’t know. I’ll have to ask Les.” I had no idea who Les was, and thought it strange that the editor was assigning a story without knowing what was important about it. Soon Phil forwarded me an answer from Les, saying that the founder of Charitable Organization was coming to Big City to do some fundraising. Phil asked could I write about the organization’s work and what Mr/s. Founder would be doing during his/her Big City trip? Could I find out whether people in Big City were expected to be open to the cause represented by this organization, who cares about it, what kind of reception Mr/s. Founder would get for his/her efforts? Sure, no problem. We agreed on a due date, word count, and amount of payment (let’s say $gazillion), and I got to work. I called a person in Big City, uh, Loren, who was organizing the fundraising efforts there. I called Mr/s. Founder. I called communal leaders in Big City and other places to find out whether Charitable Organization had any competitors, or whether there was any controversy surrounding them. This is not to suggest that I wanted to write anything bad about Charitable Organization, but that I wanted to avoid writing a puff piece. Charitable Organization’s work seemed very nice to me, and the chances of anything negative coming to light about them was slim indeed, but how embarassing would it be if I wrote a puff piece and then we found out that Mr/s. Founder has been, like, listed on Amber Alert for the past 2 years? I needed to do some checking that there wasn’t anything obviously bad surrounding my story, at least nothing that was already known to those familiar with Mr/s. Founder and his/her work. Anyhow, during one of my early conversations with Loren, Loren said that Loren would like to see my article before it goes to print, to “approve” it. People ask me this all the time. It is perfectly understandable. However, if I agreed to show my pre-publication work to everyone who asked, there would be no end to it. I told Loren that I could agree to read back to Loren all of Loren’s quotes before we got off the phone, and that if, as I’m writing the story, I’m confused about any information, I’d call Loren or Mr/s. Founder to make sure it was accurate. So I went back to Loren and Mr/s. Founder to try to set up interviews, but met with more roadblocks. Now Mr/s. Founder wanted to see the article for approval too. S/he, too, had been under the impression – probably from Loren—that they would have control over the content of the article, and the two of them were refusing to talk to me at all unless I agreed to their terms. Now, let me take a moment to say something about the relationships between the “Editorial” and the “Advertising” departments in newspapers and magazines. There is a well-known problem in journalism that a publication –any publication, Jewish or not—will be loathe to bite the hand that feeds it. That’s why you are unlikely to see an article in, say, Cosmopolitan exposing some sort of scandal at Revlon or Cover Girl. A cosmetics company would have to do something really, but really bad for one of the glossy women’s magazines to publish about it. They need the advertising revenue too badly to piss off the makeup makers. There’s also the issue of what cosmetics are recommended inside the magazine articles. When Seventeen tells you that Bonne Bell has a great new lip gloss, to what extent is that recommendation based on the fact that Bonne Bell advertises heavily in Seventeen? To answer that, we’d have to know whether they’d be recommending the same lip gloss if it weren’t for the advertising. And maybe they would. After all, Seventeen is for young girls, and young girls like to get makeup tips, and that lip gloss really might be terrific. They do, also, recommend plenty of products that are not advertised in their pages. And perhaps Bonne Bell isn’t one of their main advertisers. Perhaps Seventeen could afford to piss them off if there was enough justification to do so. So, how much are you going to worry about it? That’s up to you. Unless, of course, you believe that, say, Maybelline has some terrible dark side, and want to publicize that fact to other women in a glossy magazine. Good luck. I’ve heard of publications that cross the ad/edit line in blatant ways. I once met a writer whose work for a Haredi publication is so journalistically unsound that he refuses to have his own name put on it. This paper basically takes payment from Jewish organizations to run their press releases verbatim, as if they were reported news stories that had been judged to be newsworthy. And even in the non-Haredi papers, and non-Jewish papers, the Advertising-Editorial relationship can often be “problematic,” as one former editor told me. After getting the email from Les, I called editors of Jewish publications similar to Big City Jewish Chronicle, people I’d worked with before whose judgement I trust. Perhaps I was being naive? Perhaps this sort of ethical boundary-crossing happens everywhere and I’m being overly fastidious? But they all agreed that no matter how “murky” the waters may be at their own papers sometimes, the Big City Chronicle had crossed the line. In my own work, both for Jewish and secular publications, I’ve very rarely heard any sort of hint of the Advertising-Editorial relationship, and when I have, it never crossed any lines for me, until now. There was one time that an editor asked me to write an article about a certain entertainer who had a really interesting line of work, and when I asked the editor s/he got the idea, s/he said “Oh, this person took out an ad a few weeks ago, and I thought it looked really cool. It could be a fun story.” When I called the entertainer, s/he was surprised that I called, and s/he, too, asked how in the world we’d thought of writing about him/her. It sounded genuine to me. As far as my intuition went about it, it didn’t seem like the entertainer had ever been given any funny ideas about what “perks” s/he might get for his/her ad, and the interest by the editor really had been because the entertainer's work was cool (which it was). There was another time that I was writing a story about a certain medical condition, say a certain form of cancer, and the editor said “Look, part of your job is to find out if there are any world experts on this particular condition. If there are, try to interview them. However, if it turns out that every oncologist in the world can speak about this topic in an informed way, it would be great if you could interview doctors at Hospital X and Medical Center Y, since they advertise with us. It will make them happy. You don’t have to though – only if it makes no difference.” That was fine with me; the editor was asking me to make the advertisers happy only on the condition that doing so had zero impact on the content of the story. One newspaper editor told me that the ad/editorial relationship can often get “difficult.” (This is true of most publications, particularly small ones that rely heavily on the same advertisers over and over again. It’s not just a Jewish thing.) The example he gave is that, let’s say Hebrew Academy of Jewish Suburb advertises all the time in their local Jewish Post. And then the Jewish Post decides to do a special edition all about Jewish education, and includes articles about every Day School in the metro area – except the Hebrew Academy. The Hebrew Academy will be very, very upset. They will say “Why did you write about the Talmudic High School and the Pluralist Primary? They never advertise with you!” So, very likely, the Jewish Post will find some excuse to include Hebrew Academy – perhaps by writing about some event they had, or a nice project going on in their fifth grade. It doesn’t mean that the story is inaccurate. It also doesn’t mean that if the principal of Hebrew Academy is indicted for embezzling school funds that the Jewish Post won’t write about it. But . . . the relationship is, like one editor said, “difficult.” By which he meant “not exactly always 100 percent journalistically sound.” And it’s possible that, for some publications, it is not always exactly journalistically ethical. Whatever the case may be behind the scenes, unbeknownst to us freelance writers . . . this situation with Big City Jewish Chronicle and the Charitable Organization was the first time that bells were ringing all around me that something was rotten in the state of Denmark. Whatever delicate balancing acts other publications need to perform constantly, this was the first time someone at a paper had used the words “mission” and “put a positive spin” in the same sentence to me. Never had anyone else in the journalism industry ever said that my work was not to be the “typical” role of “fact-finding,” but rather to give “good press” to an advertiser. It made me sick. To give credit where it is due, I do not think that Phil knew what the Advertising head was promising to clients. Phil still insists that this was not a matter of the Charitable Organization paying for the story, but rather for an ad. But Phil obviously has his/her head in the sand about what’s going on in the office next door. I told Phil that I categorically refuse to be a part of this situation, and I’m dropping the assignment. When I forwarded Phil the email from Les, highlighting the damning phrases, Phil said that he/she “understands.” I wonder what kind of conversation Phil and Les had after that. I imagine it wasn't pretty. Vote for MEEEEEEEE . . . .
Voting is open for the preliminary round at the new Jewish-Israeli Blog Awards. One may vote once a day until polls close (for this round) on Sunday morning Israel time (which is the middle of the night, Saturday night, in the USA). Go let your voice be heard! Especially if your voice is saying "God, I just love Chayyei Sarah. She should win in every category. I'm going to go to the Awards site every 24 hours to vote for her, and only her." Three cheers to Dave at IsraellyCool for creating the awards! Unfortunately for you, I cannot offer any bribes for voting for me, as I'm sure Dov Bear will do shortly . . . but if I win, you'll have helped to spread a little more love and justice in the world, and will move through life knowing that you contributed toward . . . World Peace. Yes. World Peace. After a long wait, Rich Brownstein has at long last written a new post in his Aliyah Chronicles. It is long, but worth it. Check out the paragraphs in which, during his recent visit to America, he pursuades a US Congressman to take down the photo of Arafat that had been on his (the congressman's) wall; the" intimidating" Israeli security man fulfilling the Brownsteins' special request on the plane; and why hearing Christmas carols on the radio in Israel does not represent the advance of "cultural terrorism." You may recall from a previous post here, or on Treppenwitz, that recently a 6-year-old Canadian boy, a Christian, came to Israel under the sponsorship of the Children's Wish Foundation. Joshua recently finished a 2-year course of treatment for leukemia, and right now has a clean bill of health. Last summer, when asked what his "wish" is, he was adamant that the only thing he wanted was to go to Israel to see the site of the Temple, and the City of David, and Hezekiah's Tunnel, and the caves where David hid from King Saul. He also requested to stay in the King David hotel, since "If it's named for King David, it must be good" (indeed, it is a 6-star luxury hotel). Joshua got his wish, and the family spent a week seeing all the sites that Joshua had dreamed about, plus many more. Now they are back in Canada, and Joshua's dad has posted a "summary" essay about their trip on the blog he created to update his family and friends about their sojourn in the Holy Land. It's a beautiful post. Very inspiring reading, especially for those of us who live here and don't stop to think often enough about the wonder of it all. A hint . . . There are no guarantees in life. I got the assignment. I wrote the article. I emailed it in. I faxed in the payment contract. I provided copious notes and background information for the fact-checkers, just in case. Presumably, everything is as it should be. But things happen all the time. Editors run out of space. Fax machines break at the worst moments. Some editorial decision is made and stories get shuffled and things I write don't make it into the paper, no matter how hard I worked or how much the editors liked it. That's life. You gotta go with the flow. So, I cannot promise anything. But you might want to check out the Theater section of tomorrow's New York Times. It doesn't look like it was in Saturday's paper. Oh, well. Perhaps tomorrow. Or perhaps never (the story will cease to be newsworthy very shortly). These things happen. I've left a message for the editor asking what is the plan. I don't see it today, either. Haven't heard back from the editor yet. Chances grow slim. I'm not taking it personally - as I wrote above, stories get dropped for a host of reasons having nothing to do with their quality - but . . . DARN!!!! I am trying to maintain an "onward and upward" mentality. My thoughts as I look out the window and contemplate leaving my apartment, which is shaking from all the thunder around it, to meet MOChassid and his family for dinner . . .
We're all afraid of something but don't always let it show. I waited for a break in the thunder rolls -- a good 15 minutes went by with no lightning or thunder-- and then made a dash to Emek Refaim Street. It was wet but otherwise OK. Then, during dinner, there was a bit more lightning/thunder, and again a break - just as we were on the way home! Bishvili nivra ha-olam! When I lived on the Upper West Side and davened at OZ, I would often, on my way to shule, find other single women walking in front of me, clearly going to the same place. And since they were in front of me, I could analyze their outfits with impunity. But on a deeper, darker, level, they represent everything I loved and hated about UWS life. Because, unlike other girls, I gave thought not only to how fabulous and slightly-vixenish shoes like these would look while standing on 95th street, smiling, and flipping one's carefully-blown-straight hair, but also how they would feel on the walk home. Ouch. And I also gave thought to how impractical and, frankly, JAP-py it is to spend time and money buying tons and tons of shoes in order to conform to some social pressure to have the perfect pair for every outfit. And so, much as I love to look at them, I would never, ever wear these to shule. Maybe to a weekday cocktail party of some kind, if I were getting a ride there and back. And if I could afford them. And if I had storage space for a collection of oo-la-la shoes. But not to shule, not when I lived half a mile away. Ouch! These boots represent, simultaneously, all the Manhattan values I loathe . . . and all the things I wish I could be. It's not easy, being a woman. And I'm not just talking about the high heels. Last night, reader Andrea F., who is in Jerusalem on a “mission” with her synagogue, took me to a dinner for the visitors and for immigrants who used to pray at that synagogue in the US. It was wonderful! Good food, good for my ego that she wanted to meet me, and very inspiring speakers – one of them had half the room (including me) crying by the end, his talk was so beautiful. Plus, the space in which the event was held is the perfect size and location for the UYO weekend I’m planning in Jerusalem for July – I hope I can snag it. And then, on the way home, I looked into the bag of goodies Andrea had brought for me: An Enya CD (Watermark)! And my favorite American magazines! And cosmetics, at half the price of what I pay here! I’m in heaven! On Friday night, another reader who was previously unknown to me hosted me for Friday night dinner. There were 10 of us at the table, only one of whom I’d known before. New people! Fun people! Nice people! Good food! Happy, happy Sarah! And Susan (former roommate) mailed me the Garden State CD! I’ve had Frou Frou’s “Let Go” running in my head for days (until now, when Enya is taking its place). Thanks a million, Susan! You are a great friend! Now my CD collection isn’t as small and weak and embarrassing as it was just a few days ago. Another former roommate, Penina, sends word that there is a care package waiting for me at the home of some mutual friends in Bayit Vegan, for me to enjoy when I have a chance to pick it up. Thanks, Penina! And then there was the Oatmeal Raisin Cookie candle jar that MSDB (yet another former roommate) threw into my candle package, as a chanukah gift, and which Roseanne and Dan shlepped all the way from Manhattan. It was nighttime when we were there. Dan is in the circle. Don’t I have a beautiful friend? (I have many, actually, but today we’ll talk about Roseanne). Roseanne was a Barnard Centennial Scholar, and she’s really sweet, and beautiful in every way, and she’s an actress! Check out As the World Turns when they have a hospital scene- she’s the nurse! One time Roseanne was playing a single Orthodox Jew in a little independent film, and to research the part, she went to the Jewish Center in Manhattan on a Friday night. After prayers, a group of guys made a beeline for her to try to pick her up, which was a bit startling for her, I think. I know how she feels. That happens to me all the time. (cough, cough) Finally she came clean and admitted that she’s a married actress researching a part, and the guys were very happy then to stand around and complain about Orthodox single women and how abnormal we are. Great. Ok, gotta go. Thanks so much for the gifts, food, and good times, everyone! I love presents. Bye! I have to admit that lately my Shabbatot have consisted mainly of the following activities: sleeping. eating. setting up/ cleaning up (if I was hosting a meal). sleeping. feeling grumpy because of the internal conflict I have every week about going to shule (long story). feeling grumpy because I'm single. sleeping. eating. reading, either a sefer kodesh or something light. Reading makes me happy. sleeping. feeling grumpy. feeling bored. Grumpy bored feelings interrupted by happy social feelings if I'm having guests over, or if I've been invited to a meal with people who are nice and fun - especially if they are single. And cute. Now, Sarah Smile challenges us to do something different and special this Shabbat, and then tell her what it was. My most immediate thought: Make it to shule. Friday night and Shabbat morning. Heck, we may as well throw in mincha and maariv, too, while we're at it. That would be different and special, indeed. Any other thoughts? It must be different, special, and very cheap . . . and legal. And halachic. Hm. Maybe a walk to the kotel in the afternoon, if it's not raining? Anyone from my area (Katamon/San Simon/German Colony/Baka) want to join me? For all you Blogger experts out there . . . . I've been using the "Hello" program to upload and post photos on this here blogspot blog. How do I post 2 photos in the same post? And what if I want text both over and below the photo- how do I do that? And, how can I tell blogger to put a picture in the right-hand column, rather than in a post? I mean, I know the HTML code for that (sort of), but wouldn't know how to upload the photo in a way that blogger knows that the picture isn't for a posting. Personal reflections by Noa about her relationship with the Kotel and with Women of the Wall. On Thursday, I asked why, if religious Israelis are so often surprised that a journalist could be "frum," are the secular Israelis not similarly surprised when I show up to interview them in my long skirts? Commenter Ploni, with Miriam (of Bloghead) seconding, answered that non-religious Israelis have no reason to be surprised, since "They don't have this preconception of what's 'proper' for a frum girl to be doing." I agree with that up to a point. For journalists, yes, I can see the average Tel Avivian saying "yeah, so what? Why shouldn't an Orthodox woman be a journalist, any less than a speech therapist or a graphic designer?" But I'm sure they would be surprised, preconceptions or no, if, say, a stripper at their local "dance" club claimed to observe Shabbat and be very careful to have all her clothes checked for shatnez, you know what I mean? Still, I agree with their interpretation in principle. Anyway, today I read something in Haaretz that gave strength to the answer given by Yael, who told me on the phone: "They aren't surprised because to them, your clothes don't scream 'frum,' they scream 'American.'" I said "yeah, but not all Americans dress the way I do. Only Orthodox ones." She said "true, but they don't necessarily know that. Maybe, such a high percentage of the Americans they encounter are religious, that they think all Americans dress like that." In yesterday's Haaretz was an article (which unfortunately I cannot find right now) about an obviously religious woman who runs an archive devoted to all things related to Amos Oz. In her picture, she is wearing a past-the-knees dress, buttoned down the front, and a white cap that, to my eyes, may as well have said "kiss me, I'm religious." But in the article, they said that the native Israeli "wears the sort of cap sported by foreign visitors." There's a saying by Russian immigrants that "in Russia they hated me because I'm Jewish, and in Israel they hate me because I'm Russian." An unfortunate reality. Not to imply that it's on the same level, but that line in Haaretz made me think "In America, my skirts indicated my Jewishness. In Israel, they indicate my Americanness." It made me laugh. Here's a story: When I was in college, a friend of mine, whom I'll call "Friend," ran for a certain campus position against "Opponent Person." Both candidates were very popular and the campaigning was heated, though never dirty. An election committee was appointed, who sent notices to all eligible voters letting them know the dates and times during which the polls would be open. If I recall correctly, there were only two polling stations on campus, one of which was in the cafeteria of my dorm building. On the last day of elections, I happened to be eating dinner during the polling hours, and noticed that the students manning the voting table left an hour before the polling was supposed to end! I asked them what they were doing, and they said "no one has come to vote for the last 45 minutes. It's dead today. We're leaving." Later, Friend got a call from some underclassmen, telling Friend that a few of them had gone to vote for Friend that night, but the table had been closed. Next day: The ballots were counted, and it was close. So close that they counted the ballots several times to be sure. And, yes, Opponent Person won by just a few votes. Friend decided not to contest the elections, but I was really mad. Those of you who knew me in college know that my potential for getting angry back then was much more developed than it is now (or maybe I just channel it better now into things like blogging and eating chocolate). "Friend" may have been merely disappointed and cynical, but I was livid on Friend's behalf. Enraged. Purple with it. Hopping, hopping mad. Especially because I was powerless to do anything about it. So, this story about the Palestinian elections brought back a lot of unhappy memories. 1) Miriam posts links to an interesting and sad controversy in the blogosphere about a book that has been banned for "heresy" in the Ultra-Orthodox community. 2) At the end of her post, Miriam asks "where, incidentally, are the good people of Cross-Currents on this controversy? If they are going to duck an issue like this which is all theirs, what's the point of being on a forum like the blogosphere?????" I like Miriam's blog a lot and am happy to see that she at least acknowledged that, along with other possibilities is the one that they are taking time to "coordinate their positions." Reasonable people, such as Miriam, allow for reasonable possibilities. There's lots of words, words, words being thrown around by various bloggers about Cross-Currents and the people who write it. But regarding this book controversy, and certain others as well, what strikes me is the quickness with which some bloggers (including one whose official blog topic has nothing to do with books, or heresy) say, in essence, "hey! You! Leaders! React! NOW!!! NOW I SAY!!!!! THREE SECONDS TOO LATE! This has been on the blogosphere for several hours already, where are you???? WIMPS!" As RenReb would say: Ahem. Give people a break! The most thoughtful bloggers spend more than five minutes composing their posts. The blogosphere moves fast, too fast sometimes for people with full-time jobs, children, congregations, schools, spouses, other hobbies, and laundry to do. I can tell you that I've spent the last few days trying to compose a thoughtful post about a topic I care about, but every time I go back to revise it, there have been new developments and I need to change the whole thing. I've often said that the reason we need weekly and monthly newsapers and magazines in addition to dailies is that the dailies record the news as it happens, and the weeklies and monthlies record the news after people have had a chance to reflect thoughtfully about what has happened. The blogosphere contains the best and worst elements of daily news, because it is this second's news this second. It represents our thoughts as we think them, records our actions in real time. It's exciting. It's so on-the-edge that it's often over the edge. And therein lies the downside. What we gain in speed we very, very often lose in quality. And veracity. I do hope that someone on Cross-Currents will blog about the book controversy (and, of course, I hope they say something I agree with! ), because I, too, hunger for intellectually honest Orthodox leaders who take a stand for their true beliefs and are willing to become unpopular among those to the "right" of them. But I also hope that they'll take a day or three or seven to decide what they really want to say, so that their posts will, in fact, reflect their true beliefs and not some knee-jerk reaction. I would hate for one of them to post something and then, the next day, retract it (though people of course are allowed to change their minds . . . but in a case like this it isn't pretty when they do). If you haven't already followed Treppenwitz's recommendation about it, you must listen to this song, which was posted on a family's website and subsequently became the #1 hit song in Germany. It's about "Schnappi, das kleine Krokodil" (Snappy, the little crocodile). It is adorable and, yes, very very catchy. When I call someone and say "I'm a journalist writing an article about your project/business/organization -- can we set up a time to talk or meet?" there are different ways of categorizing the reactions. I could say "there are two kinds of people: The ones who are immediately happy to get the publicity and the ones who automatically assume I am biased against them and will write something unbalanced and negative." I could say "there are two kinds of people: The ones who trust me to do my job well, and the ones who try to control me by insisting, for example, on seeing the entire article for 'approval' before it is printed" [a request I never grant, by the way; there would be no end to it]. I could say "there are two kinds of people: those who give articulate, to-the-point interviews that make me happy [Sarah's note: I love interviewing lawyers for this reason], and those who annoy me by going on and on and on about whatever is important to them, without answering my questions." There are two kinds of people: the ones who, when we meet in person, hardly seem to notice that I'm wearing a long skirt and am obviously a "frum girl," and the ones who are visibly startled that the female journalist they were expecting to show up turned out to be a religious woman. The interesting part of this is that secular Israelis almost never seem surprised that I'm religious. They don't even seem to notice, though they must. For all I can tell, my religious identity doesn't even register with them. They're like "hi, thanks for coming, let me show you around." But other religious people are almost always surprised -- they often tell me so-- and, almost as often, are visibly or vocally relieved. The relief part I sort of understand. Particularly if the article is on a topic related to religion, I can sympathize with their worry that a non-religious person wouldn't "get" what they do as well as someone who is part of their world. It's not a matter, I think, of expecting some sort of positive bias (though I'm sure many of them do expect that), but rather an expectation that someone from within their subculture will understand them better than someone from outside, and will therefore more accurately represent them. I can also sort of understand why people would be surprised. The fact is, I myself know or have met perhaps only four other Orthodox women who are professional newspaper or magazine writers for non-Orthodox Jewish or general interest publications. I'm including in that everyone I've ever known or encountered from college, journalism school, the Upper West Side, and all my activities as a journalist in New York and Jerusalem (which does not mean, of course, that there aren't others out there). The other Orthodox women I know who are good writers are in PR or some other form of writing like fiction, or they work as teachers or copy editors, or they write for publications like Jewish Action [for the, on average, two or maybe three articles per issue written by a woman- yes, I count every time] or the Jewish Press. 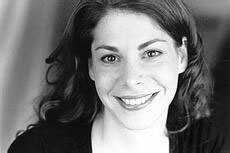 I also used to know an Orthodox woman who is no longer a reporter; she moved to Hollywood and is a television sitcom writer (now that's unusual!). What I cannot understand is why, if the religious Israelis are surprised, why are the secular Israelis not surprised? My friend Yael, who has been here for 4 years longer than I have, had some interesting insights about it, but I'd like to hear from other Israelis about your take on this. So, my router was not working the last few days, and therefore my VOIP (voice over internet protocol) telephone, with the American number, was not working either. However, I took the incredibly dramatic step of unplugging the router and then plugging it in again, and now it works perfectly. If you live in America and have been trying to call me on my VOIP number, and haven't been able to get through, the line is now clear for takeoff. My mother is reading a book about how to use a computer! Next stops: Email, the Web, and Jerusalem!!!! How refreshing . . .
. . . to see an earnest discussion of theology in the New York Times. William Safire writes an op/ed on the question of "where was God" in the tsunami. I'm not knowledgable enough about the Book of Job to be able to agree or disagree with the details of his interpretation, but his three conclusions at the end of the piece look reasonable to me. 1) I spent Shabbat at the home of Mr. and Mrs. Treppenwitz in Gush Etzion. They are good people! And- thank God a hundred times over- they have a real guest room with its own bathroom. Lap of luxury for Chayyei Sarah! The kids were great. The older two like Star Wars and Harry Potter, so I quizzed them a bit. The baby, Yonah, is a real charmer. Most of the time.When he's not shrieking to wake the dead he's adorable! I liked him when he let me hold him, and he put his head against mine and let me kiss him and talk to him, and he played with my hair. Zahava is lots of fun. The chopped liver is indeed to die for. I saw the shule that was just featured in Photo Friday. A good time all around. I also learned quite a bit about Efrat that I'd never known before. David was pointing out to me that all the land on which Efrat is situated was bought from Arabs, not "stolen" as they are often accused of having done. In fact, in one place, Efrat is only as wide as the street connecting two neighborhoods, because the fields on each side of that street are still Arab-owned. And he was telling me that in their park, there's a big square of empty land where the Arab farmer refused to sell, and he comes once a year to plow it so that he can keep his title to it. It's not that I ever consciously thought that the land was stolen. I just never really had an opportunity to find out this kind of detail. It's easy to forget that the West Bank is not one big monolithic tract of land. It's a place with lots of communities, large and small, and each one has different people and a different history, and a different relationship with its neighbors. Food for thought. 2) In the grand scheme of life, the following is a small complaint, but it's my blog so I get to vent about whatever I want: About 10 days ago, my (rented) washing machine broke for the third time in 2 months. I was doing a load, it was in the rinse cycle, when from the next room I heard the machine go psssst! psssst! pst! pst! pssssssssssst! The kitchen had little charred pieces of rubber floating in the air. I unplugged it and called Y., the man who rents out the machines, and said I want a new one. The man who came to look at it last Sunday (a week ago), said "indeed, we cannot repair this. We'll come on Thursday to bring a new one." Well, given that I already had a lot of laundry to do, 5 days was a while to wait, but I figured I could hold out until Thursday. We arranged that Y. would come on Thursday at 11 am. At 12:20 I called to find out where he is, and he said he'll come at 1 pm. Fine. They come at 1 pm, and take away the old machine, which had shorted out so badly in the past 3 months that the floor underneath it was covered in a black, charred mess. Y. says "we'll come tonight to bring the new one." I said "hold on, you don't have it now? I thought you were bringing it today, not tonight. I have plans tonight." He said "well, Sunday then." I said "you said you'd have it today." He said "yeah, but you won't be home." Fine. Sunday then. I called him this morning (Sunday, right?) and asked what time he's coming. Again he said "sometime tonight." I said "I have plans! When you say you will bring the new machine on a certain day, to me that means during the day. This is not right." He said "well, then, how about tomorrow morning?" So now I'm getting the new washing machine, I hope, tomorrow. Just 4 days after I originally thought I'd get it, and a week and a half after the last one broke. Meanwhile, my laundry was already piled up 10 days ago, you know? And the worst part is that all the "smartutim" (rectangular rags) that I need for washing the floors were supposed to get washed 10 days ago, and in order to mop up last week I had to borrow a smartut from my neighbor. How pathetic is that? And every time I thought "oh, I'll bring my laundry in to the laundry service" or "maybe I should buy more smartutim, even though I already own a ton of them" I thought "nah, I'm getting a new machine in a couple of days." So today, really depressed because all my laundry was dirty and all my smartutim were dirty and I couldn't even mop the stupid floor, I finally shlepped everything to the laundry service, where for twenty dollars they will do all my laundry and dry it. Yes, I did. Two (big) loads at $10 per load. Because if I wait until tomorrow, then even if I finish washing everything (each load takes about 2 hours in these little European machines), I'll have to hang it outside to dry, and in this weather it might take 3 thousand years to dry, and I don't have space indoors to hang up every wet piece of laundry in my house. Problems, problems . . . .
3) More to the heart of the matter, I've been feeling quite blah lately, because this is the first time in my life that I'm only freelancing. All the other times that I've freelanced a lot, I've either also been in school, or also teaching college courses, or also working a part-time or full-time office job outside my house. Actually, most of my adult life I've worked very hard, though I've been privileged to enjoy so much of what I do. This situation of having no compelling reason to get dressed every day is bringing me down. I thought that it would be great, just working from home, doing the whole "uber freelancer" thing, being "funemployed." I thought I'd get up at 6 am and work all day and make a killing, writing tons of articles for American publications and earning dollars while living in shekels, living the sweet expatriate life. Sure, in a parallel universe I am doing that, but here on planet Earth I'm completely unmotivated. I just mope and putter and poke around on the 2 1/2 assignments that I do have, and feel like a lazy, pathetic bum. I'm actually living like Odd Todd, except that he gets an impressive income in tips for his website, so for him blogging isn't really a form of puttering. Emotionally and financially, I cannot afford to live this way. So I'm doing two things to improve the situation: I'm trying to get structured at home (really get up early, really be disciplined about sending out pitches, really take care of things that I need to do), and I'm looking for a part-time job that will get me out of the house and into the sunshine every morning. If I don't find something, I'll probably sign up for ulpan in the fall, so I'll be improving my Hebrew and getting out every day. I know from experience that if I structure my life around something like school or a "real" job, then my motivation and discipline for the freelancing skyrockets and my life improves in every way. I guess it's not just full-time moms who go crazy at home. I'm just not meant to never see daylight. I'm also not meant to not be able to pay my bills, which will happen if I don't pull myself together real quick! Maybe now that I've posted about it I'll feel bound to change. 4) I actually did get out today to go to a Nefesh B'Nefesh event, a dessert reception for singles and young couples, to welcome particularly those who made aliyah in December. Lots of great people have made aliyah in the last few years! It was nice to see! Also, Nefesh B'Nefesh now allows non-NBNers to come to their events, so that NBN immigrants and "vatikim" ("ancient ones"- people who made aliyah a long time ago) and native Israelis can integrate. I liked this event because it was for young couples, too, and therefore not a "singles event." It was very non-pressured and I liked the people a lot. Mazal tov . . .
. . . to Katamon's resident not-confirmed-anymore bachelor, that man of leisure, my official very tall neighbor who has helped put my suitcases into the little storage areas over my closets which I cannot reach, the very very menschlich, the overall good-guy who came to an otherwise all-female break-fast in my apartment just weeks ago and did not mention he was dating anyone but looking back he sure was in a great mood, the frum, the fabulous, the Brooklyn-accented, the Upper West Side alumnus CHAIM STERN on his engagement to Loryn Plen, formerly of Johannesburg and now of Talpiyot (and soon to be of Katamon). I have never met Loryn, but if she's marrying Chaim she must be one great Chyck. Shuli and I went last night to see "National Treasure" with Nicholas Cage. I was nervous at first about it because I had an impression that it was a scary Tomb Raider-like movie. I do not like scary movies. But it turned out to be SO FUN. As Shuli said: "It's Goonies for Grown-ups!" Yes, indeed. In some ways it's very formulaic: Cage's character is searching for a lost treasure; the secret for finding the first clue has been in his family for several generations. Of course, there's a bad guy who ALSO wants the treasure, so the idea is whether the good guys will get there first without being killed by the bad guys. You know from about 20 minutes in that the movie will end well, that either the good guys will win or, if they lose, they will be philosophical about it, and that anyway the good guy will get the girl. It's also obvious that there will be no disgusting scenes of people's faces melting (Raiders of the Lost Ark) or weird-looking giants (Goonies) to give you nightmares later. So you can sit back and enjoy the ride. And, considering that you can tell in advance that it will end OK, there is enough suspense to keep you going. Feel-good fun with just enough of a kick to make it grown up. Plus, this is a smart person's treasure hunt!!! It's all based on knowledge of American History! The good guy is a geek who knows all about the founding fathers! The girl is a geek who works in the National Archives! A gorgeous geek, but still, a smart lady. And I love American History! Shout out to Mr. Meisse, my high school social studies teacher! I don’t have time, really, to write this post, but it’s been on my mind a lot so I may as well get it out of my system. There’s been some discussion lately on Jewish blogs (links by Allison here) about the issue of journalism and loshon hara. For those not-yet-in-the-know, “loshon hara” is the Hebrew term for (put very simply) any speech or writing that unjustifiably communicates negative information about another person, particularly another Jew. It’s considered a terrible sin, and in fact has a reputation for being the most widely-committed terrible sin. It’s said that to speak ill of another is on par with murdering them. And the excuse that “well, it’s true, after all” doesn’t hold water in Jewish law; the information being true is exactly what makes the speech loshon hara. If it were a lie, it would be “motzi shem rah”—libel or slander—which of course is even worse. There are situations in which speaking ill of another is considered appropriate, generally where being ignorant of the information would cause someone harm. One is allowed to tell her friend, for example, that the boy she is considering going out with has serious character flaws she should be aware of. One is allowed to warn another that their potential business partner has a history of bankruptcies. And certainly, one may warn another that the babysitter they are considering hiring has a record of child molestation. I believe that a teacher is allowed to speak loshon hara of a child to the child’s parents, to make them aware of behavior problems that can be corrected. However, the details of how the information is communicated is serious business, and one must tread carefully. So you can imagine that it’s hard for an observant Jew who worries about violating the laws of loshon hara to work in journalism, an industry that thrives on conflict and drama and exposing the serious and not-so-serious sins, mistakes, or trip-ups of public and even private figures. The problem is exacerbated by the fact that when someone writes loshon hara in a newspaper (or in a blog), the information is spread not just to a few people but to dozens, or hundreds, or thousands, or hundreds of thousands. The more people who read the information, the worse the reporter’s sin becomes. I’ve never actually asked a rabbi for guidance about the issue in general, mostly because I’m afraid of what I’d find out. For example, there’s the article I wrote about the inconsistent rules and bureaucratic barriers faced by immigrants in medical fields when they make aliyah (along with explanations – some even reasonable, believe it or not- by the government about why the situation is the way it is). On one hand, exposing bad things being done by the government is the classic reason that a free society needs journalism. It’s why the press is known as the “Fourth Estate.” I know for a fact that people in the Ministry of Health read my article and were seriously considering the points I made. Perhaps eventually my article will have helped to make life smoother for other immigrants. Plus, if it will help potential immigrants who are nurses, doctors, and physical therapists to make more informed aliyah decisions, increasing their chances of a successful klitah —then “kol hakavod li” (more power to me). On the other hand, I wrote loshon hara about the State of Israel, something I normally would not want to do. And perhaps what I wrote discouraged some people from performing the mitzva of moving to the land of Israel. Obviously, since I published the article, in my own internal reckoning I decided that the benefits of exposing the problem were more important than the possible loshon hara issues. But would a rabbi agree? I hope so. But I can’t be positive, since I’ve never asked. The first time I encountered the problem, I was in journalism school and was freelancing a bit for a local paper by covering meetings of local community boards and writing reports of some of the more interesting issues that came up. It was my first “real” writing job. Usually the topics were pretty innocuous and involved matters of opinion for the readers to weigh themselves: a group wants to erect a statue in memory of a certain famous person and the neighbors are against it because it would impede traffic; a building contractor wants to tear down a famous restaurant to build apartments but the neighbors consider the old building an unofficial architectural landmark; a university wants to build a new dormitory and the neighbors would rather the land be used for commercial purposes. But once, I was asked to write about a certain city council member who had filed a motion that one of the streets near a semi-famous store be named after that store. The community board had voted overwhelmingly (maybe unanimously; I don’t remember) against the idea, citing its ridiculousness (“What? After this we’ll have Woolworth Avenue and Duane Reade Way”) and their belief that the council member was pandering to the moneyed interests of this large store. After the community board vote, I called the city council member (who may or may not have been Jewish; it doesn’t matter to me ethically, but it does matter from the point of view of Jewish law – please, don’t argue about this in the comments, since it’s not the point of my post), who basically concurred with the board that the motion was a mistake, and said she had withdrawn the motion from the council and that “as far as I’m concerned, this is a dead issue.” I also called the owner of the store who had convinced the city council member to try renaming the street, and who was definitely a Jew, who also (if I remember correctly - this was years ago) said that in his mind the issue was over. The community board has no legal power, really, but their discussion had ended the motion before it even got to the council. The store owner and, more importantly, the city council member had made an error in judgement. But they’d seen the error and agreed it was dumb. And the error wasn’t even serious. After all, the naming of streets doesn’t have an appreciable effect on people’s lives. But the editor wanted a dramatic story about how this council person had pandered to the business. And not just a small paragraph about it, either, but several paragraphs of flowery, scathing personal attacks on the council person’s panderingness and the business owner’s chutzpah. The paper was right in a way, but I didn’t think the story was important enough to justify the kind of personal attacks that they wanted, especially since the motion was dead now. But if I refused to write the story, I’d never get work with this paper again, and I was just starting out. I also knew that it would be hard to get referrals from my professors if they found out that I’d quit over something this trivial, especially since what I was writing was true, after all, and about public figures, one of whom was in the city government. In journalism that’s all that really matters. There's no such thing as cutting someone some slack. Feeling very agitated about it, I called a rabbi, who turned me over to his wife, who also is a writer. Together we figured out a way to write the article that stayed as fair as possible to the parties involved, while still making it somewhat exciting so the editor would be happy. When it was published, I found that the editor had totally re-written the article to make it more scathing (so the facts were intact, but the tone was different), so my name was on a story that wasn’t really mine, but I’d done my best. More recently, I was asked by a newspaper to write a profile of a certain person who – to keep this as vague as possible – had developed his own method for teaching other people how to do a certain thing, and his students had won many awards and were remarkably successful. I interviewed him – he was clearly very ambitious but overall a good guy-- and got phone numbers of people he’d worked with, when he then started telling me that in fact he is unable to find students these days because of a conflict he was having with a certain other organization. He actually spent an hour telling me all about it, while I took notes in my reporter’s notebook. Well, this was an important development in the story. I couldn’t very well write about how successful he is without explaining why he has very few students right now. And as I researched it – by, for example, calling this other organization to get their side of the story—it turned out that part of the conflict was caused by an action –again, a fairly innocuous judgement error-- on the part of the guy I was profiling, a fact he admitted when I called him again to ask him about it. Take my word for it that the whole conflict between this guy and the organization was very, very stupid, and had the potential to be solved in short order . . . unless, of course, it was exacerbated by, say, my publishing in a newspaper that he’d complained about the other party. From the standpoint of journalistic ethics, there was no reason not to publish the article. Everything I was saying was true. Everyone I’d interviewed was aware that they were talking to a reporter. No one had used the words “off the record.” I’d been taking copious notes right in front of him. But from the standpoint of loshon hara, this was a very serious situation. I was about to publish an article that would completely destroy this man’s career. Yes, he’d made mistakes. But I felt—and still strongly feel—that the nature of his errors did not justify humiliating him to the many thousands of people who read this story. I tried convincing the editor that the story was too insignificant to publish. Unfortunately for me (and for the story subject), it was a slow news week, and there was a problem with one of my other articles as well (another long story of a different nature), and there was literally going to be a big empty white space on the page unless I filled it with text about this poor guy. To be cynical about it, a journalist’s job is to fill the empty white pages of the newspaper. If the journalist and the readers are lucky, the words will be truly significant and worth the money you paid for the paper. But even if not, the readers expect words to be on their newspaper pages, and so words is what they get. If a newspaper is 32 pages, the staff needs to fill it with 32 pages worth of text (and ads). Not 31. A reporter who doesn’t produce the words is a reporter who does not have work and does not pay the rent. So I wrote the story. I included as much as I could about his talent and successes, as many accolades from former clients as I could fit in. But there was no way around it: I had to include the conflict and what it was about him that had caused it. The copy editor (a very talented person working under intense pressure that day as well) then gave the story a headline which made him look even more ridiculous. And it did pretty much hopelessly ruin his chances to revive his business. I ran into him later and he told me so. That experience is one of the reasons that in many ways I prefer freelancing to being a staff reporter. I’d still consider taking a staff job, but one of the great things about freelancing is that I’m more free to turn down topics that might be ethically or halachically problematic. But not every reporter can afford to freelance. I’m not even sure I can afford to freelance, and am looking for a part-time job in writing or teaching that would get me out of the house every day and provide some sort of steady income. If I get a staff job at a publication, once again it will be on my head to fill the empty white space, and simply hope that I’m able to navigate my way through doing my job in a noteworthy and professional way without unnecessarily ruining other people’s lives. Things My Shaliach Never Told Me: As Rabbi Kosman Always Says . . . . So, I'm registered in a small Hebrew class in City Center called "The Short Story," which meets 6 times, every other week, to discuss, well, various Israeli short stories. The teacher speaks normal Hebrew but more slowly than she usually would, because it's a class for immigrants, and we spend a lot of time translating words and phrases before talking about things like symbolism, character development, post-modernism, etc. Yesterday was the fourth meeting. Forty-five minutes before the 4 pm class, I was standing outside, trying to hail a cab -- I needed to get there early because I had not finished reading the story we were working on -- and there were no taxis, and I tried calling a dispatcher but there was no answer, and I was very strongly tempted to just skip the whole thing. I hadn't read the story, I had a lot of other things to do, the cab would cost 25 NIS, and I just was not in the mood. But then I remembered the part of the story we'd started the week before. It's about an ultra-Orthodox woman in Jerusalem whose 18-year-old daughter has run off to live with her boyfriend on a secular kibbutz in the Negev, south of Be'er Sheva. Having heard that the girl is sharing a bed with the boy and "conducting herself as his wife," the mother, as the story starts, is on a bus to the kibbutz (she hasn't left her ultra-Orthodox neighborhood in four years), for the purpose of "dragging her daughter back to Jerusalem by her hair." In the discussion the week before, I was the only religious person who had shown up to the class. Though I don't agree with the type of shidduch system and close-mindedness reflected by the mother in the story, I felt it was important for someone to show up who knew something about Orthodoxy. The teacher had, for example, said something about how Judaism is so strict about sexual mores that if a wife is raped she cannot go back to her husband, and I was the only one there who knew to argue that she was incorrectly applying a rule for Kohanim to all Jews. I do like the teacher, but these little springs of ignorance can cause a lot of damage. I wavered. "Look," I told myself. "Discussions about religion happen in this country every day, and you can't be everywhere to prevent a chillul Hashem. They will just have to discuss the story without you. You've got other things to do." But then I also remembered what my friend Ari always tells his guests at the end of Shabbat meals, quoting his wife's rabbi from Frederick, Maryland: "As Rabbi Kosman always says, never underestimate the power of your presence." So, sighing, I walked to another intersection and hailed a cab. I read the story as fast as I could in the taxi, and then for 15 minutes before class started I sat in the hot room trying desperately to get to the end before class starts. At some point the teacher came in and said "are you the only one?" I said "so far, but we have time." She said "no, it's 4 o'clock now." So we waited five minutes, and no one else showed up. Eventually the teacher said "well, I guess you will get a tutorial today," and we started talking about the story. We had a nice discussion. The story is, in fact, beautifully crafted, and even though I don't like its overall message about religion, as a former English teacher I appreciated the symbolism, word choices, metaphors, etc. And I was able, at one point, to dispel another misconception about religious Jews. But all I could think about was that if it weren't for Rabbi Kosman, this poor teacher would have suffered the humiliation of having no one show up for her class. Someone sent me an email inviting me to a SINGLES SHABBATON. In a UNITED STATES city where I know NO ONE. Oh, God, I'm crying I'm laughing so hard. It's sort of a maniacal laugh. It's true. Some of the best Jewish-Israeli blogs are controlled by Satan. I guess those checks I sent to him through his mom to keep him quiet have been bouncing. Darn. Just as I was getting popular in the Midwest. Of course, Esther denies it. But she went to Frisch, so who's gonna believe her? My college friend Roseanne, who reestablished contact with me a few months ago after being out of touch since my sophomore year, was in Jerusalem this weekend with her husband, Dan. Roseanne hadn’t been to Israel since she was 12, and for Dan it’s his first time! They came to my house for Shabbat lunch, and then we went together to the Brownsteins (who are so nice) for seudat shlishit, and after Shabbat we went to the Kotel and then to Cafe Hillel for hot chocolate. Then I picked up from their hotel room all the scented candles which they’d brought from America for me – I’ve got enough now to last for months. I’m so happy! The whole thing was such a nice weekend experience. 1) I’m seeing now from the perspective of someone who lives in Israel what a big difference it makes when tourists come. In addition to the economic boost to the country, and the morale boost when I saw how full Ben Yehudah Street was, it’s just so nice to be reminded that Israel is a place so special and important that people are interested in traveling halfway around the world to see it. Also, I got to “show off” my neighborhood, point out interesting sites, translate for them . . . and it all reinforced for me how happy I am to be here, and how far I’ve come in getting settled. 2) Another reason it’s great when tourists come to see me is that then I go with them to the Kotel. It’s embarrassing how few times I’ve gone since my aliyah. I can’t excuse it with the old “residents don’t go to tourist sites” argument, because the Kotel is not just a tourist site. The wall really helps me to feel closer to God, like when I’m praying I’m making a local call. Every time I go I tell myself that I should take more advantage of living so close to it. But somehow, especially if I’m feeling spiritually “blah,” the Kotel seems so far away, in a sense that has little to do with geography. And then I go with my tourist friends, and fear that I’ll feel nothing when I get there, but it’s always fine. I always leave feeling more peaceful. Note to self: Go to the Kotel sometimes on your own, just because you can. 3) Funny experience: As we were waiting to get through security at the wall, Dan called his father, and they arranged that Dan would stand at a certain stop so that his dad could find him on the Kotel Cam. The wonders of modern technology! 4) Despite my inability to digest milk, I went for Cafe Hillel’s Chocolatta. I’d always thought it was just hot cocoa . . . . It is melted chocolate pudding. It’s served in a glass with a long spoon. 5) Last week I went into the Ne’eman Bakery on Emek Refaim to buy fudge cookies for Roseanne and Dan (as I told them, those cookies alone are enough to convince anyone to make aliyah), and decided to treat myself to one of the little chocolate cakes on the counter. I see these around all the time. Little cylindrical cakes, like tall muffins, wrapped in a tube of brown paper. I never understood why everyone sells these. What’s the big deal about individually wrapped chocolate cake for one? Turns out that what you do is take it home and put it in the microwave for 30 seconds, and it’s really a chocolate souffle, and the middle rises and gets all soft and gooey. It was so good that tears of joy glistened in my eyes. I kid you not. 6) OK, enough about chocolate, let’s talk about my new scented candles. One dozen different votives from the Virtuous Vanilla line (Honey Vanilla, Orange Vanilla, Rasberry Vanilla . . . ) One dozen different votives from the "Autumn and Holiday" line (Plum Pudding, Candy Cane, Cinammon Bun . . . ). A tumbler of Cranberry Vanilla. A pillar of Mint Vanilla. And a jar, which Miriam threw in as my Chanukah present, of one of my favorite scents: Oatmeal Raisin Cookie. My apartment will smell amazing for the forseeable future. 7) Thank you to Dan and Roseanne for shlepping all those candles – they are heavy—all the way from Manhattan to Tel Aviv and then Jerusalem. I told them that they should bring only what they could carry comfortably, and they actually packed them all by sticking votives into empty space in the suitcases. They are truly good friends. I love you guys! Only in Israel? Apparently not.